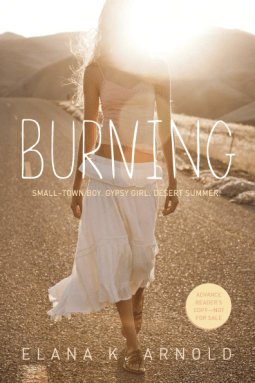 A sizzling love story between a small-town boy, a Gypsy girl and the summer that changes them forever. Lala: She and her Gypsy family earn money by telling fortunes. Some customers choose Tarot cards; others have their palms read. The thousands of people attending the nearby Burning Man festival spend lots of cash—especially as Lala gives uncanny readings. But lately Lala’s been questioning whether there might be more to life than her upcoming arranged marriage. And the day she reads Ben’s cards is the day that everything changes for her. . . and for him.